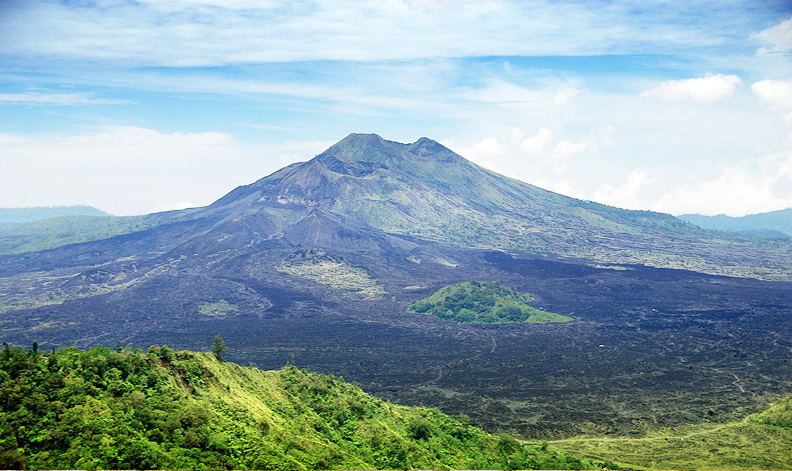 Bali Tour Package 8 Days 7 Nights is the best holiday package to Bali. 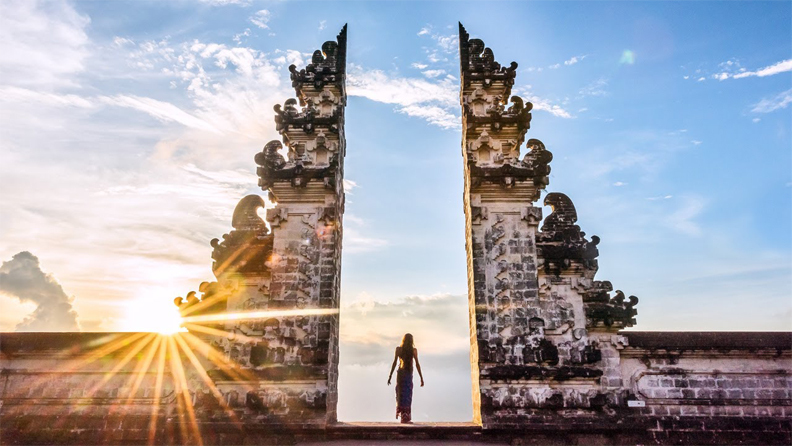 During your 8 days in Bali, you will discover the whole part of the most popular sights and attractions in Bali, covering from the central, south, north, west, and east part of Bali. Including one day trip to the hidden paradise of Nusa Penida Island. From the moment you board your private vehicle to be transferred to your hotel, a great sense of calm and oneness with nature overcomes you. Greenery and beauty await your eye in every direction you look. The most popular tours of Bali covered in this Bali Tour Package 8 Days 7 Nights itinerary are Kintamani Volcano Tour, Ubud Tour, Uluwatu Temple Tour, Bedugul Tour, Tanah Lot Tour, East Bali Tour, Bali City Tour and Nusa Penida Island Tour. 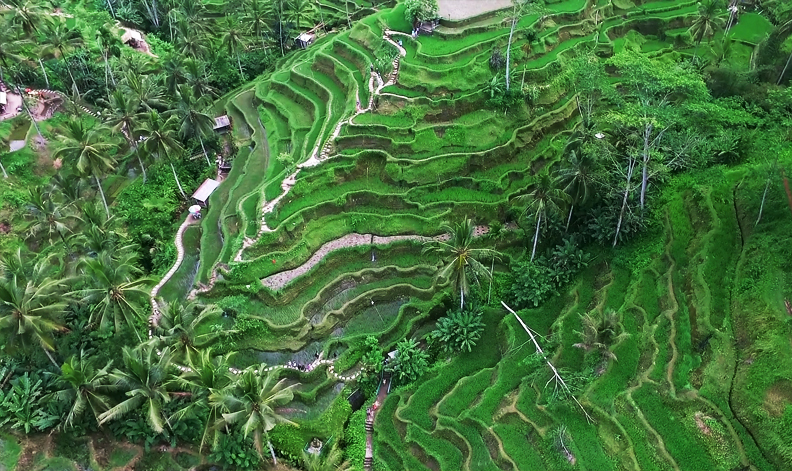 The Bali Tour Package 8 Days 7 Nights is included of all entrance fees & tickets, taxes, meals, and air-conditioned car transfer with knowledgeable Balinese driver/guide is included. After breakfast at hotel convenient hotel pickup from your hotel, our driver will take to the island's capital city of Denpasar to discover a Balinese cultural hub. Your first stop is at the historic Puputan Square situated in the Denpasar’s city center. This busy gathering place is a favorite of locals and travelers alike, thanks to its mix of open space and intriguing monuments. Next to, Jagatnata Temple is the biggest Hindu temple in Denpasar town which many visited by Hindu people in Denpasar to pray in particular on full moon and black moon. This temple is designed very beautiful with full of religious and artistic ornaments. In the center of Jagatnatha temple area, there is a high temple building encircled by the fertile tropical garden. Continue from there to Bali’s Museum, is the island’s main museum and a central landmark highlighted on city tours to the heart of the provincial capital, Denpasar. The island’s oldest and largest, the Bali museum houses over 10,000 exhibits in separate pavilions, all built in architectural styling that pays homage to Balinese heritage with stone carvings, bas reliefs and tropical gardens dominating its exteriors. Proceed next to the colorful Pasar Badung (an Indonesian word for ‘market’) which display the local Balinese daily needs or local product trading that is very crowded with unique activities and friendly smiles of Balinese people. You will find the transaction voice among buyer and merchant with multifarious merchandise according to the life need like daily kitchen need, appliance of Hindu ritual, fruits until the traditional clothes. In this market, you will find the unique thing from the local people especially the women when carrying the material or any items with extremely heavy, she put all of them on her head with a big basket. Continue the trip to Bajra Sandhi Monument is a major landmark in Denpasar Bali, a monument to the struggles of the Balinese people, set right in the centre of the Renon Square. The site is adjacent the Bali Governor’s office, and is hard to miss with its grand structure that resembles a Balinese Hindu priest’s praying bell, or ‘bajra’. Inside the base is a museum that displays various historical dioramas of the people’s past struggle for Independence. There are three floors inside. The ground level lets you admire the typical Balinese architectural features applied to the overall structure, while the second floor is where most of the diagrams and dioramas that depict the Balinese people’s pre-history and history are shown. The last upper level provides you with soaring views over the green square and Denpasar’s cityscape afield. After that we will take you to try and taste Bali’s iconic dish, Babi Guling (English: Suckling Pig) is a whole pig roasted over a fire and cooked to perfection. That served at local restaurant call Warung Babi Guling. In general, a Babi Guling dish includes meat, skin, sate, vegetables, soup, and rice. After lunch transfer back to your hotel.